The most beautiful broccoli… | What's not to like? ….is (of course) the broccoli you grow yourself! 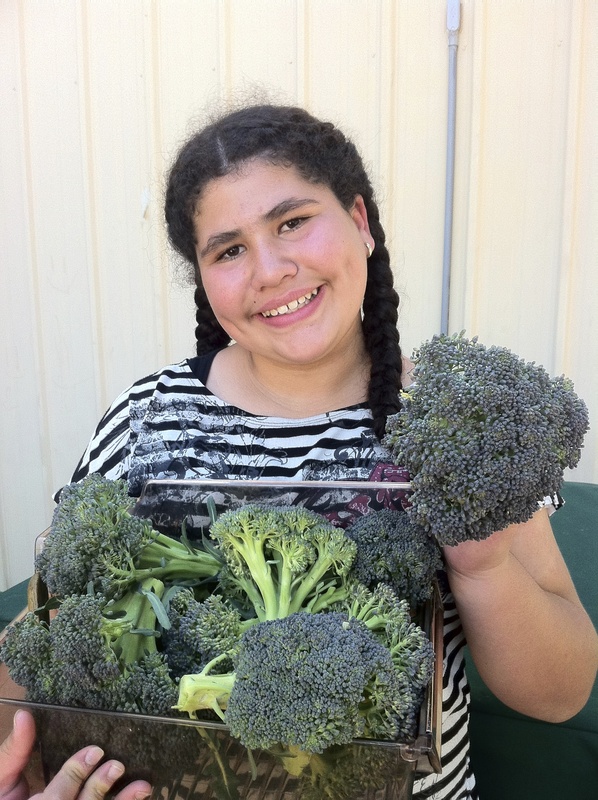 One of my Garden Ambassadors harvested the broccoli yesterday. And after thorough washing, it went back to the classroom. From stem to mouth in the same afternoon! 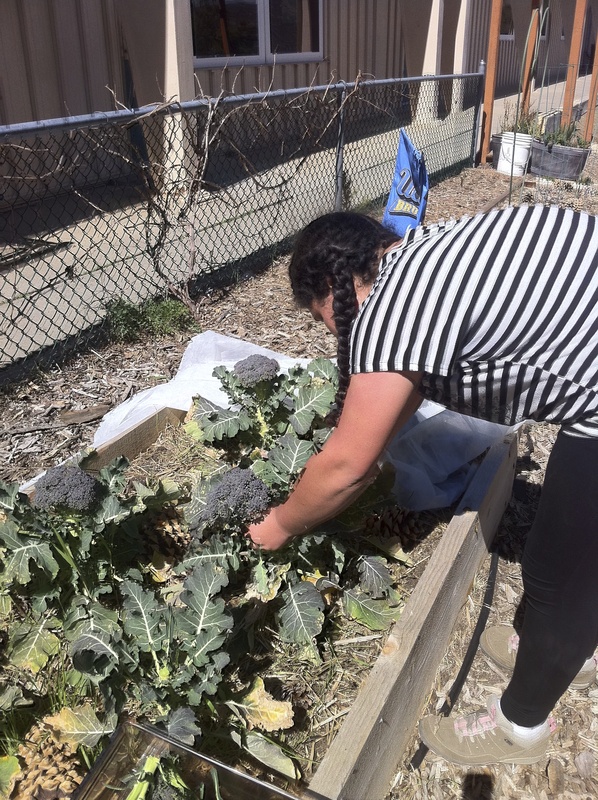 This entry was posted in Nutrition and tagged broccoli, cool season vegetables, edible education, food, garden, garden ambassadors, gardening, nutrition, school, school garden by kidsingardens. Bookmark the permalink. What a rewarding job that must be! It really is. Now if only we could find more funding…..
“Ranchification”….. totally stealing that. Thanks! It looks delicious. Our students are so lucky to have our wonderful garden. Ha! Do I have to choose? These pictures are darling! You’ll be happy to know that although I didn’t grow it myself, your baby sister did eat some for dinner! Truth: first time I’ve grown broccoli. It really is delicious—no need whatsoever for ranch. Ha! Me and my boys like ranch dressing as much as the next person, but I’m really trying to resist the “ranchification” (I just coined that) of all of kids’ vegetable consumption, especially if the food comes straight from the garden and tastes so delicious. I love it when food gets from the garden to being consumed in the same day!!! …and into the bodies of small, growing children. What’s not to like? Nice . . . thank you!! The pics state a thousand words . . . They do—-and I know you know this particular cutie pie!